If you’re here it’s safe to assume you’re probably wondering… what is cellulite? We know this nuisance as our lumpy, bumpy cottage cheese-esque companion on our behind, thighs, and tummy. It’s like your nosy neighbor who isn’t causing any harm but just seems to linger and simply won’t leave you alone… or let you sunbathe in peace. Cellulite is as complex as it is annoying. So what is cellulite really? Doctors and health experts have come a long way in understanding cellulite, but the problem is there isn’t just one simple cause and solution for cellulite. If there were, then you wouldn’t be here right now… scouring the Internet on how to get rid of it once and for all. Since there’s an assortment of factors that each play their own role in the formation of cellulite, it’s crucial to understand what cellulite is in order to reduce and correct it. So think of this as a quick crash course on all things cellulite. We’ll enlighten you on everything you need to know about it so you can be well on your way to smooth, supple skin. Read through to the bottom and your tush will thank you later! Chapter 1: The Basics – What Is Cellulite? There are some common misconceptions floating around about what cellulite actually is. Is cellulite a buildup of toxins, a different type of fat, a cruel curse, cellulitis, some unidentified foreign substance, or is it just regular ol’ fat? Adipose (the fancy term for fat), is loose connective tissue made up of nerves, blood vessels, and adipose (fat) cells that provide metabolic and structural support. There are two types of adipose tissue in the body. These include brown adipose tissue and white adipose tissue (aka brown fat and white fat). Brown fat is commonly found in infants and works as a heat generator, energy consumer, and actually burns calories. It contains small lipid droplets that are chock full of iron-rich mitochondria and capillaries that deliver nutrients, oxygen, and heat throughout the body. Unfortunately, we lose most of our brown fat once we hit adulthood. As we can see, brown fat is beneficial to the body, so the more the merrier! Now, it’s time to turn to white fat. White fat is the more common of the two types. It stores energy, creates protective pads between organs, insulates heat, and secretes hormones into the blood that directly affect our metabolism and endocrine system. This fat is stored as either visceral fat or subcutaneous fat. Visceral fat is located around our internal organs. Subcutaneous fat, on the other hand, is stored in a layer directly under the skin’s surface. Now we’re closing in on what is cellulite. With cellulite, what you’re actually seeing is a deformation of subcutaneous fat that’s causing the visible dimpling of the skin. So, it’s basically regular (subcutaneous) fat that’s out of line, literally. The causes of this deformation are multifaceted and we’ll touch on those areas in the next few chapters. You can also check out our post on what causes cellulite for the 10 main culprits. Chapter 2: Skin Deep – What’s Happening Beneath The Surface? We just learned what is cellulite, which is subcutaneous fat, or fat just below the surface of the skin. Everybody has subcutaneous fat, literally every body. It’s normal and it’s there no matter what your age, body type, or gender. So why do some of us have cellulite and others don’t? Healthy looking and feeling skin is dependent on adequate resilience and proper structure at a cellular level. Connective tissue is a main component of our skin. It’s made up of structural proteins such as collagen and elastin that are like resistance bands. These act as our skin’s personal gatekeeper, keeping all the fat cells nice and tidy and in their designated layer. This specific fat layer lies right between the underlying muscle and outer layers of skin. Our bodies handle this balance of layers without any problems. If the fat cells become too large or the connective tissue is weakened, or both, something has to give. The fat cells start overcrowding and push the outer layers of skin while pressing against the weakened connective tissue. The connective tissues become strained and taut and pull down on the skin. You can also think of this process like tufting on an overstuffed mattress. This puckers the skin and creates lumps and bumps along the surface. This particular condition is what causes the infamous dimpled appearance of cellulite on the tush, tummy, triceps, hips, and thighs. Speaking of those areas, let’s discuss why they’re prime locations for cellulite to appear. It’s a tale as old as time, the incessant battle of the sexes. To add fuel to the fire, the ratio between men and women regarding cellulite is dramatically unequal. It’s estimated that 90% of ALL women will experience cellulite at some point in their lives. On the flip side, men are very rarely affected by cellulite. Only about 10% of men will ever experience it. The truth is…the odds are stacked against us when it comes to pesky cellulite. And men are blissfully ignorant at the fact their bodies are basically cellulite repellant machines. Recall our discussion on how cellulite is formed. Fat cells engorge and push on neighboring skin layers while pressing and squeezing against weakening connective tissue. The tissue bands tighten and pull down. This anchor makes the skin pucker and leads to unsightly dimples. An interesting (and seemingly unfair) fact is men and women don’t have the same skin structure. There are pivotal differences that give men a (smooth, lump free) leg up on us. Their collagen structures, the main protein in connective tissue, are like a chain-link fence. The X shaped proteins are incredibly strong and are able to securely hold in fat. Women have connective tissue that runs vertical, like a picket fence. This structural difference makes it much easier for fat to push up on the outer layers of skin and collagen fibers. Another point is women have higher body fat percentages than men, even though we require fewer calories throughout the day. Women range about 18% – 25% body fat, whereas men range from 10% – 15% body fat. Women naturally carry more body fat in certain areas such as bum, stomach, thighs, hips, breast, back of arm, and above the knee. No coincidence that these areas are most susceptible for cellulite to form. 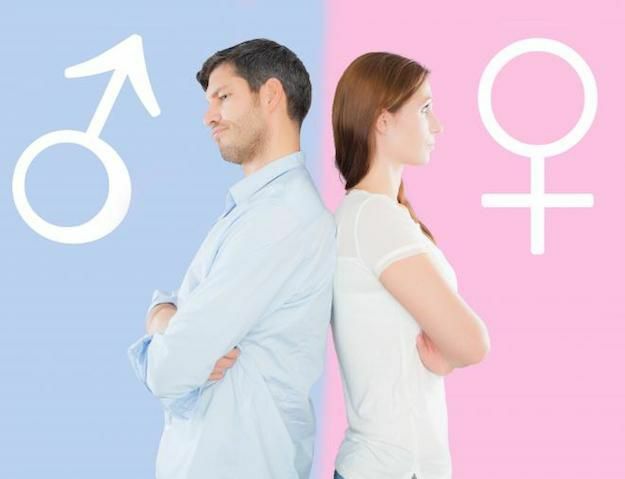 Men and women also have varying hormones that play a large role in this skin condition. As women, we’re innately aware of the immense power that hormones have on our entire body. Men have seemed to notice, too. Our hormones make us uniquely women and aid in our ability to bear and nurture children (and be right 99.99% of the time). Hormones chemically override our bodies both physically and mentally. There’s a delicate hormone balance that’s necessary for the body to adequately run smooth and prevent any kinks in our armor. So, it’s crucial to keep hormones in check. If you need help, Wellness Mama offers some fantastic, easy ways to naturally balance your hormones. This is important because when hormones are altered or become imbalanced, they can wreck havoc on your body. The main hormones thought to play a role in the occurrence of cellulite are estrogen, thyroid hormones, stress hormones, insulin, prolactin, and noradrenaline. For instance, too little or too much estrogen production can have drastic effects on the body. If estrogen levels are too high, it can cause excessive weight gain and storage of fat. Put simply, estrogen makes fat and testosterone breaks down fat. And if estrogen levels drop, it prevents blood vessels from flowing properly. This hindrance leads to poor circulation, which causes a lack of new collagen production and breakdown of aged connective tissue. Women also have more alpha-receptors compared to men. Alpha-receptors tighten blood vessels, release sugar into the blood, and cause fat cells to produce fat. Beta-receptors burn fat through thermogenesis and by increasing metabolism. Men have more beta-receptors than women. Pregnancy is another time when women are flooded with cellulite inducing hormones. One hormone in particular called relaxin is released and it diminishes the production of collagen. This helps the hips widen and allow for the delivery of the baby. However, it does a number on skin’s elasticity. Collagen forms the connective tissues that keep fat cells in place. Weakened bonds allows fat to migrate and leads to dimpled skin. Mix this with increased hormone levels (namely estrogen), additional weight gain, slowed circulation of blood and fluid, and a slew of other physical and chemical changes. These changes make women much more susceptible to cellulite during pregnancy. In fact, circulation in general plays a large role in cellulite. Let’s discuss how circulation works itself into our journey of what is cellulite in the next chapter. As you can see, there’s a lot going on when it comes to discovering what is cellulite. Much of what’s happening is down at a cellular level. We need proper circulation to make sure everything is working optimally. Luckily, the entire body works with perfect synergy. But if there’s a kink in the line anywhere, it can have a domino effect. Healthy circulation of blood, lymph, and fluid strengthens all aspects of your body and keeps cellulite at bay. When it’s slowed, cellulite gets its chance to crop up and make itself known. Poor circulation makes it harder to deliver vital oxygen and nutrients to our cells. It also makes the lymphatic system slow down, which is our body’s natural garbage disposal. With less good coming in and less bad going out, we’re left with a sluggish, unhealthy buildup. Cellulite thrives in this environment. When our cells aren’t getting proper circulation, it decreases our collagen production. This weakens our connective tissue and skin elasticity. Fat cells bulge against the damaged connective tissue and it leads to unsightly uneven skin. Many things affect your body’s circulation. Some of these include lack of exercise or physical activity, sitting for long periods of time, nutrient deficiency, smoking, hormone imbalance, inflammation, stress, aging, and excessive alcohol consumption. You can find some practical ways to increase circulation in your daily routine here. Chapter 6 – Does Size Matter? 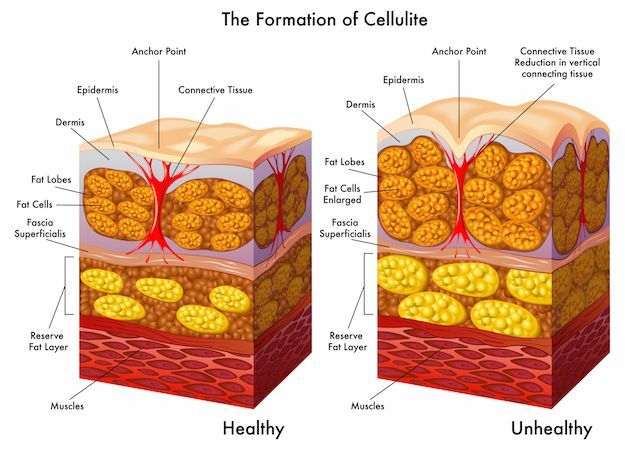 Cellulite is usually associated with being fat, unhealthy, or overweight. In reality, that’s not entirely the case. This skin condition can be found on all bodies – large, small, athletic, slim, famous, young, old and anywhere in between. It’s true because cellulite doesn’t discriminate. Because no matter what shape or size… all humans have fat. Specifically, we all have a layer of subcutaneous fat that makes us susceptible to getting cellulite. As we’ve learned throughout the chapters regarding what is cellulite, we know cellulite is complex. And it’s not 100% dependent on one thing. It’s a mixture of fat, skin, connective tissue, gender, hormones, circulation, and overall health that contributes to cellulite. Basically, we’re all in the hot seat. Nevertheless, keeping a healthy weight will help ensure your body is working in tip-top shape. You can quickly check your BMI or Body Mass Index here to see if you’re in the healthy range for your particular weight and height. Keeping our fat cells as small as possible will help everything work more seamlessly. The more stress we put on our skin’s structure, the higher the chances of cellulite cropping up. Avoid yo-yo dieting or fad diets that cause you to lose weight quickly…and most likely gain it back just as fast. This will worsen cellulite because when fat is lost, muscle is lost, too. This weight loss signals the body to slow the metabolism, increase hunger, and encourage the storage of fat. None of which help out your cellulite situation. Which begs the question, what will help your cellulite situation? Now that we know the answer to “What is cellulite?” it’s time to address cellulite solutions. Chapter 7 – What’s The Solution To Cellulite? Just as cellulite doesn’t have one specific cause, it also doesn’t have one solution. It takes a combination of factors and internal influences to create cellulite. The same goes for cellulite prevention and reduction. Ok, we know some things we just can’t change like our unique genes, gender, and age. Let’s focus on what we can more readily change. The overall goal is to be as healthy as possible. Now, healthy can come in all shapes and sizes. You just have to be a healthy you. Don’t skimp on sleep – Give your body the full 8 hours it deserves. Don’t neglect exercise or physical activity – It doesn’t have to be strenuous, just make an effort every day. Check out these 3 cellulite-busting yoga poses. Don’t smoke – It wrecks havoc on your body both inside and out. Don’t forget the sunscreen – and definitely don’t fake bake. UV rays can damage the skin. Opt for a self-tanner for a healthy glow that can also conceal cellulite. Don’t live off processed foods – Eat a wide variety of fresh, whole foods such as veggies, fruits, lean protein, beans, nuts, low-fat dairy, and whole grains. Don’t stress – Frequent stress puts an unnecessary toll on your body and can lead to obesity and health problems. Take at least 10 minutes each day to relax both mentally and physically. Meditate, read a book, listen to music, practice deep breathing, color, or try those yoga poses. 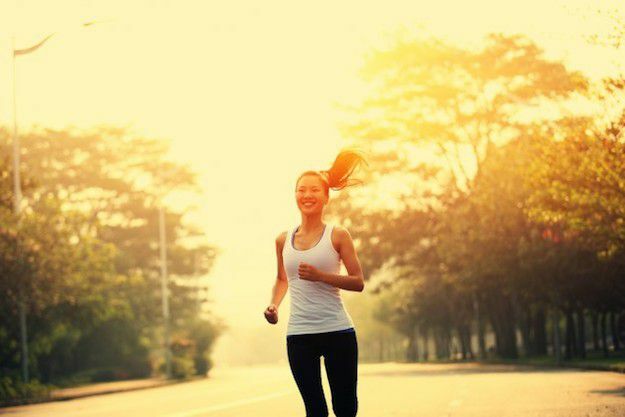 You can easily incorporate these 6 suggestions into your daily routine to make a healthier you. What is cellulite? Well, now we know! It’s a skin condition that affects nearly every woman, regardless of her size. It forms from a concoction of weakened skin structure, hormones, fat cells, genetics, poor circulation, and overall health. But you don’t have to suffer. Use the tips we learned today such as adequate sleep, physical activity, fresh, whole foods, and yoga or meditation. Being a healthy you will protect you from the inside out and aid in diminishing stubborn cellulite. 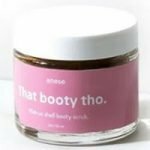 For an extra booty boost, try out a cellulite cream from our current list of the 10 best cellulite creams you can buy!